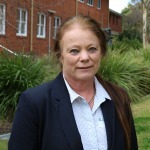 Ms Avery has worked in R&D related to pasture agronomy and grazing management across a range of industries. She was the national leader of the EverGraze project which had a focus on improving productivity and sustainability outcomes for the high rainfall grazing zone. Angela also led research funded by the Murray Darling Basin Commission that assessed the environmental, economic and social sustainability of current land management practices in three catchments across the Basin: Goulburn Broken (Vic), Billabong Creek (NSW) and Condamine (QLD). She also is the author of Pastures for Horses a Winning Resource. Currently Angela manages a research group in the Future Farming Systems Research Division (DPI Victoria). This group has 75 scientists across research disciples including soil science, hydrology, hydrogeology, catchment modelling, farming system economics and spatial information. She is also involved in the development of Victoria's red meat RD&E program.